Visit Alexandria produces original research, secondary research, marketing presentations, and organizational reports throughout the year. Any questions? Contact Vito Fiore at vfiore@visitalexva.com. Visit Alexandria announced record visitor spending numbers at its annual meeting on September 24, 2018. One of Visit Alexandria’s key projects for fiscal year 2019 will be the King Street Corridor Initiative, a public/private partnership focusing on programming, beautification and marketing, spearheaded by the City of Alexandria and Visit Alexandria. In celebration of Alexandria’s new waterfront experience, Visit Alexandria will launch the Portside in Old Town programming series that features free-to-the-public themed weekend happenings in history, art, music and fitness with activities for families and for adults, plus additional pop-up experiences and events. For more on FY2018 impact and FY2019 initiatives, view the Visit Alexandria 2018 Annual Report. View the Visit Alexandria 2018 Annual Meeting Presentation. On January 28, 2019, Visit Alexandria provided information on new openings and offerings, consumer and tourism research, development around the City, Summer 2019 Metro shutdown response, and members-only marketing opportunities. The Metro options flyer created in response to the shutdown is available here or at VisitAlexandriaVA.com/MetroOptions. On January 25, 2018, Visit Alexandria provided information on major openings and events, consumer and tourism research, and members-only marketing opportunities. The presentation included new data from Visa that shows the breakdown of Alexandria consumption tax payments by cardholder location. Find a direct link to that data here. Visit Alexandria announced a new immersive experience of Alexandria along with record visitor spending numbers at its annual meeting on September 25, 2017. Visit Alexandria 360 is a virtual reality tour that brings a new dimension to the Extraordinary Alexandria brand. It allows users to explore the city in 360° through VisitAlexandriaVA.com/360 or its mobile app that can be used with virtual reality headsets. For more on FY2017 impact and FY2018 initiatives, view the Visit Alexandria 2017 Annual Report. View the Visit Alexandria 2017 Annual Meeting Presentation. On September 14, 2017, Patricia Washington presented to Alexandria City Academy about Visit Alexandria&apos;s organization and functions. On September 12, 2017, Visit Alexandria presented to members and the Alexandria community about working with NSF and welcoming them to the Carlyle neighborhood. On August 24, 2017, Sara Stanton presented to members about the LGBT traveler, and how to be both welcoming and effective in their business&apos;s marketing efforts. On July 27, 2017, Visit Alexandria presented to the Alexandria Hotel Association about the latest in lodging data and marketing trends. On June 19, 2017, Vito Fiore presented to the Visit Alexandria Board of Governors on the top learnings from the Simpleview Summit, a web and digital marketing conference for the tourism industry. On June 19, 2017, Lorraine Lloyd presented to the Visit Alexandria Board of Governors on Visit Alexandria&apos;s activities associated with the IPW international travel trade show which took place in Washington, DC this year. On April 20, 2017, Visit Alexandria presented to the National Science Foundation Directorate Liaisons&apos; Meeting about their upcoming move to Alexandria and how Visit Alexandria can assist them in welcoming visiting panelists. On February 28, 2017, Tom Kaiden presented to the Alexandria Hotel Association about the state of the lodging and tourism industries in Alexandria. On January 25, 2017, Visit Alexandria and its partners provided information on new initiatives, major openings, economic development, tourism research, and members-only marketing opportunities. On November 2, 2016, Visit Alexandria held a workshop on welcoming and marketing to the LGBT community. Justin Ayars of Unite Virginia and Wirt Confoy of Virginia Tourism Corporation presented information to members and community partners at Virtue Feed & Grain in Alexandria. At their annual meeting on September 19, 2016, Visit Alexandria announced the next evolution of its Extraordinary Alexandria brand through its new advertising campaign, “Alex and Andria,” with the tagline, “let’s get together.” The destination marketing organization unveiled the playful new campaign, which highlights the contrasts that make Alexandria unique while deeply reinforcing the brand name of the city. Reflecting on FY2016, Visit Alexandria shared that it had a banner year, noting record tourism revenues, local tax receipts, hotel occupancy, media coverage and web traffic for Alexandria. View the Visit Alexandria 2016 Annual Report. View the Visit Alexandria 2016 Annual Presentation. To read our press release and check out our new ads, click here. On September 15, 2016, Patricia Washington presented to Alexandria City Academy about the activities and structure of the organization. On September 9, 2016, Vito Fiore presented to the Alexandria Hotel Association meeting about the state of the lodging industry in Alexandria and across the nation. From 2014-2016, Visit Alexandria conducted a study of VisitAlexandriaVA.com website visitors to determine the return on investment of the site. The study also revealed other information on how people use our website and their experience in visiting Alexandria. During the 20 months of the study period (August 2014-March 2016), over 52,000 incremental trips were generated by the website, resulting in $32 million in additional visitor spending. Nearly 15,000 additional days were also spent in Alexandria on trips extended by the site&apos;s influence, resulting in almost $5 million in additional visitor spending. In total, this represents $42 in economic impact for each unique site visitor. On June 20, 2016, Vito Fiore presented to Visit Alexandria&apos;s Board on the top digital marketing insights from the Simpleview Summit held in April in Tucson, Arizona. On May 13, 2016, Theresa Belpulsi from Destination DC presented to Visit Alexandria and the Alexandria Hotel Association about the significance of the IPW Travel Trade Show that is being held in Washington, D.C. in 2017. On May 13, 2016, Vito Fiore presented to the Alexandria Hotel Association meeting about the state of the lodging and tourism industries in Alexandria. On May 4, 2016, Patricia Washington presented a summary of Alexandria&apos;s offerings and tourism impact to front-line staff from Alexandria businesses. This event was held in collaboration with the Alexandria Small Business Development Center. Visit Alexandria produced a presentation to their Board of Governors as well as Alexandria City Council to explain the organization&apos;s marketing efforts related to the PBS drama "Mercy Street", as well as early results. See the overview presentation here, as well as the early results presented here. Longwoods Research conducted a study in 2015 on the impact of tourism marketing on a destination&apos;s economic development image. On January 14, 2016, Visit Alexandria provided information on PBS&apos; new Civil War drama Mercy Street, new events and major openings, valuable tourism research, and members-only marketing opportunities. View the presentation here. In 2014, ACVA (now Visit Alexandria) commissioned a study with an independent research firm Destination Analysts to determine the return on investment for its advertising. The study found that for every dollar of advertising, $171 was generated in incremental visitor spending, and $6 in tax revenue was generated for the City of Alexandria. This $6-1 ratio was an improvement over the $4-1 ratio found in the 2010 study of a previous ACVA campaign. See the full study here, which also includes other marketing insights on our visitors and our destination: 2014 Advertising Effectiveness Return on Investment Study. Our 2015 Annual Meeting was held on September 30, 2015, at the Hotel Monaco Alexandria. We shared a sneak peek of the upcoming PBS drama “Mercy Street,” based in Civil War Alexandria and premiering on January 17, 2016, and provided a look at our marketing strategy that will leverage the unprecedented national spotlight on Alexandria’s heritage. 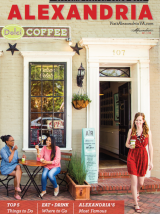 View the Visit Alexandria 2015 Annual Report. View the 2015 Annual Meeting Presentation. On September 21, 2015, Vito Fiore presented information on the state of the lodging industry in Alexandria and the outlook for the future. See the presentation here. On July 20, 2015, Patricia Washington and Alfonso Wright presented insights from two recent conferences on marketing trends and technology. See the presentation here. On July 9, 2015, Visit Alexandria&apos;s members gathered to celebrate the launch of the new VisitAlexandriaVA.com website and the kickoff of Live Music Week. See the presentation here, which includes a tour of the new website. On June 4, 2015, Visit Alexandria presented their approach to data-driven marketing at the City Department Heads meeting. See the presentation here. On April 27, 2015, Patricia Washington presented to "Agenda: Alexandria" on the impact of hotels and tourism. See the presentation here. On April 21, 2015, Patricia Washington presented to the Historic Alexandria Resources Commission on the topic of African-American Heritage Tourism. See the presentation here. On January 29, 2015, Visit Alexandria unveiled a new name change, new events and major openings, valuable information from a research study, the annual contact calendar, and members-only marketing opportunities. View the presentation here. On September 29, 2014, ACVA held its Annual Meeting at the Hilton Old Town. See the presentation, the 2014 Annual Report, and the 2014 Advertising Effectiveness Return on Investment Study. This June, in partnership with VHTA, the ACVA met with interested restaurateurs at Union Street Public House to hear about the new ABC laws that go into effect July 1st. Click here for a copy of the presentation. A record year for tourism revenues. A record year for tax receipts. Expanded sales. Hundreds of media hits. A million web site visitors. A new strategy. A new CEO. 2013 was a very productive year. Read about it all in the 2013 Annual Report and check out our preview of what&apos;s ahead in 2014. Helpful information from the Alexandria Small Business Development Center (SBDC).